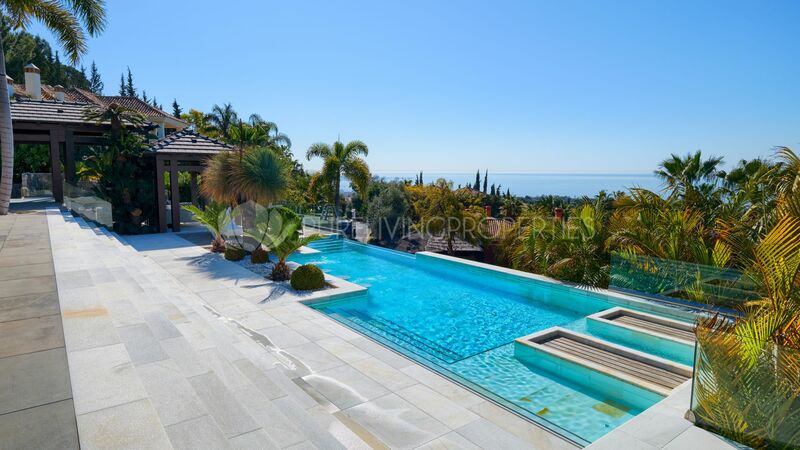 Nestled in the most exclusive gated community of Marbella this unique property is built on a 2169m2 elevated plot with spectacular sea views. 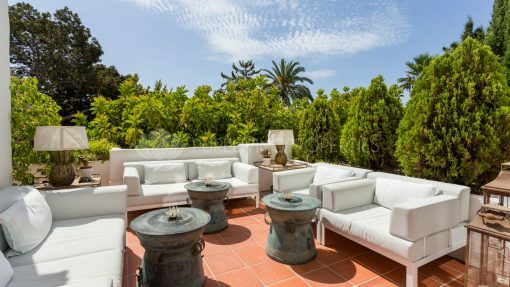 Very quiet and private area, still close to Marbella town and the beach. Top quality modern villa has a amazing driveway that leads to the entrace of the house. The entrace has a grand hallway which bring you to a spacious living/dining area with a fully fitted open plan kitchen. From the kitchen you have direct access to the covered and open terraces, barbecue area and pool area with 3 different style pool (heated) all outside with a cosy and relaxing area. On the first floor master en suite bedroom with dressing area, guest bedroom en suite, fitness and bar area. On the lower floors there are 4 bedrooms en suite, one fully fitted guest or staff apartment, with two bedrooms sharing one bathrooms. Spa area with steam room, office room, and possibility to have a cinema room. Garage space for 4 to 5 cars. 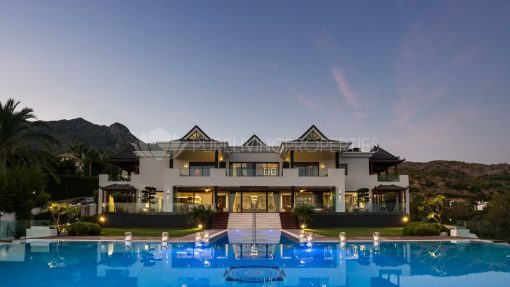 The villa comprises, fully fitted domótica system, partial under floor heating, A/C, elevator to all floors, outdoor parking space, gated community with 24 hrs security. 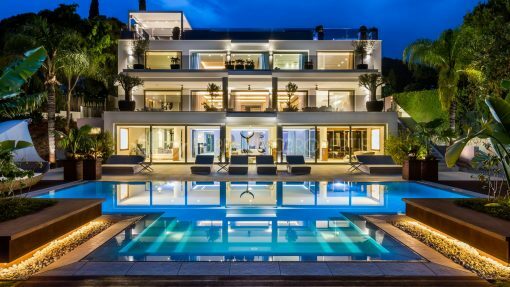 Please send me more information about ref PLP02689, Villa in Cascada de Camojan, Marbella Golden Mile or similar properties.